Charlie recently completed WildLife, a collaboration with award-winning Kage (dance-theatre company). The finished works were exhibited one at a time from November 8 – December 22, 2013 at The Abbotsford Convent Arts Precinct, with a new image going up every 2 weeks. While the exhibition is officially over, the principal dancers, Kate Denborough and Gerard Van Dyck, are still hanging on in the last paste-up….until nature sees them fall…or perhaps bakes them on for eternity?! So visit The Abbotsford Convent to see the real thing – located on the reverse-side of the large map just inside the main entrance. Also Kage has an incredible new show opening soon (I was lucky enough to see the work-in-progress mid 2013). Seriously, check it out if you can – ForkLift. 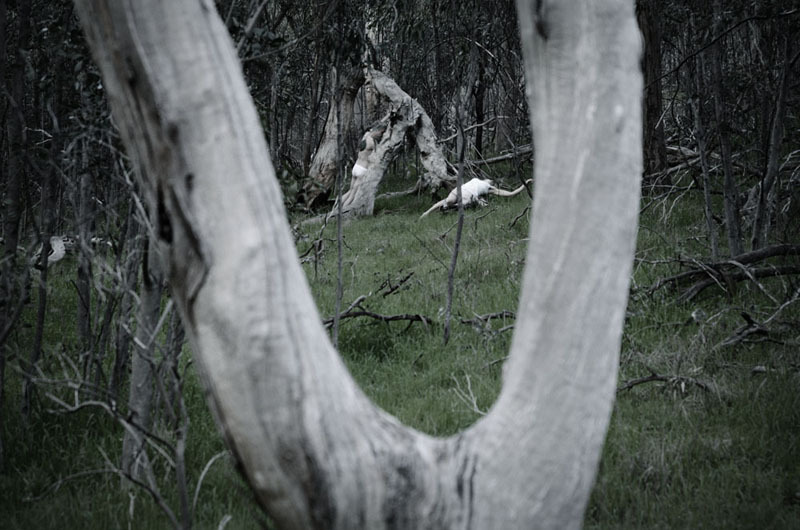 WildLife was funded in part by The Abbotsford Convent as part of The Collaborative grant.